Which air freshener should I use in my car? Home » Tips & Tricks » Which air freshener should I use in my car? We understand that most of us have a lot of other things to worry about besides which scented air freshener we should use in our car. However, scents are much more powerful than we think. Not only do they connect us back different memories in our past, but they can also directly affect our mood. Check out our suggestions for air fresheners scents that can help to calm you down or keep you focused on the road. Just a simple whiff of a certain scent can send us sprinting down memory lane, and definitely is not a coincidence. The olfactory response is directly linked to the emotional center of our brain, which proves that scents can directly affect our emotions. Here are our suggestions for which scents to put in our car. Everyone knows just how tiring of a task it can be to drive, especially long distance. One way to help feel more energized is by using a citrus-scented air freshener in your car. Instead of guzzling coffee and energy drinks, put a lemon or orange scent in your vehicle to help boost your overall energy and alertness. Most of the time, cinnamon-scented air fresheners remind of us a cozy house during the holidays. However, researchers have found that cinnamon can actually help improve your overall cognitive functions including visual-motor response, which is key when driving. Cinnamon in your car can help during challenging times on the road. Although vanilla is not the most powerful scent, it is known to increase the feelings of joy and relaxation when it’s in the air. This can be particularly helpful after a stressful day at work or keeping a happy mindset in a busy traffic jam. If you’re looking for ways to increase your overall happiness, vanilla is key. Driving can definitely be stressful, but the scent of pine has been known to help alleviate stress. Studies have shown that pine could actually work to decrease anxiety as well as lower depression and stress levels. Next time you’re stuck behind a slower driver or late for work, pull out your pine scented air freshener and take a big, deep breath. The average American drivers about 30 miles per day, which easily adds up to multiple hours behind the wheel each and every week. With this in mind, it’s easy to understand why our vehicles get so messy. Our team here at Certified Autoplex put together a list of tips and tricks to help clean and organize your vehicle in a timely manner. Be sure to check out this post to get your car as clean as it was when you drove it off the lot the first day. Although there have been studies to suggest the power of these scents, everyone is affected differently. The only way to find out if they work is by trying them out for yourself. Whether you prefer buying car air fresheners from the store or making them yourself, we hope these tips help you to stay calm, focused, alert and stress-free on the road. 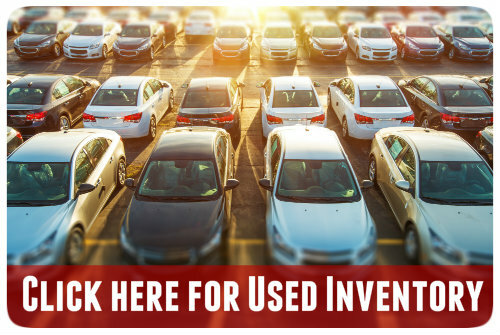 Contact our team here at Certified Autoplex for more information. What is the body style of a Mercedes-Benz E-Class? What's the Difference Between Leather and Leatherette Upholstery? This entry was posted on Friday, October 7th, 2016 at 3:17 pm	and is filed under Tips & Tricks. You can follow any responses to this entry through the RSS 2.0 feed. You can skip to the end and leave a response. Pinging is currently not allowed. See Social Media from the New Maserati Debut Here!